Gloucester-born writer Anna Solomon set her second novel, “Leaving Lucy Pear,” in her hometown but long before the author’s time. In those days, an unwed mother (like Lucy’s, who abandoned her as a baby) had few options and dim prospects; the granite industry loomed large; and rum runners worked the coastline. 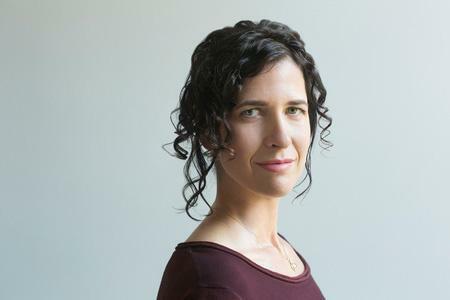 Solomon discusses her novel, just released in paperback last month, at 6:30 p.m. Monday at the Manchester Public Library, at 7:30 p.m. Tuesday at the Melrose Public Library, and 7 p.m. Thursday at Stellina’s in Watertown. SOLOMON: I just finished “Woman No. 17” by Edan Lepucki, and I’m reading “The Twelve Lives of Samuel Hawley” by Hannah Tinti. She’s a North Shore writer too, and the book is set in a fictionalized Gloucester. I’m also reading this amazing memoir, “Love and Trouble” by Claire Dederer. After being married for a long time, she’s having this upwelling of lust and desire, of feeling a connection to her younger self. It explores what it is to be a teenage girl. BOOKS: How much nonfiction do you read? SOLOMON: I go back and forth. I’ve been reading history for my research, and recent politics has sent me to some books, such as Erik Larson’s “In the Garden of Beasts,” an excellent and sobering book. For the book I’m working on, I’ve also been reading a new history book: Marjorie J. Spruill’s “Divided We Stand” about the women’s movement. BOOKS: What did you read for “Leaving Lucy Pear” that you would recommend? SOLOMON: One I found incredibly useful, which is kind of obscure, is “Hammers on Stone” by Barbara H. Erkkila, which gets into the granite industry of Boston’s North Shore. “Last Call” is a fun history about Prohibition by Daniel Okrent. And some of the stuff I read about mental health was fascinating, such as Elaine Showalter’s “Hystories,” which is about the history of women’s mental health and hysteria. BOOKS: Which books do you think do a good job of capturing Gloucester? BOOKS: Did growing up in Gloucester influence you as a reader somehow? SOLOMON: I think it has. I’ve never loved a lot of description. I’m drawn to work where the place is a character. That may be the social fabric or the landscape, such as the difference between living on the ocean or on the prairie, and the pressures it puts on you. SOLOMON: A book coming out in the fall called “The Twelve-Mile Straight” by Eleanor Henderson, which is set in the South in the ’30s. The new Elizabeth Strout book, “Anything is Possible.” She’s one of my favorite writers, and one of the few contemporary novelists I’ve read everything she’s written. BOOKS: Do you have a lot of books? SOLOMON: We were living in Rhode Island before moving back to Brooklyn five years ago, and we downsized from a house to a small apartment. So I’ve made what I think of as my shrine to books, a tightly curated collection. BOOKS: What made it into the shrine? SOLOMON: “Americanah” by Chimamanda Ngozi Adichie. I have three collections of Alice Munro stories. Lorrie Moore’s story collection “Birds of America.” I’ve got “The Stories of John Cheever” and “The Known World” by Edward P. Jones.” For nonfiction, “Men Explain Things to Me” by Rebecca Solnit and a great collection of essays by Eula Biss, “Notes from No Man”s Land.” Now we are moving in the city to a bigger apartment where I will have more bookshelves, but I don’t have them yet, which is causing me some anxiety. I know there are other things that have to be taken care of first, but my dream is that the large wall in the living room will have hanging shelves, and we will fill that wall with books.